During your day-to-day activities, you and your teams may need to tackle a lot of things. The marketing team needs to create innovative campaigns which grab and keep people’s attention. The sales team is busy trying to convert leads into paying customers. There is so much to do, and so little time. Doing things manually over and over again is not just time-consuming, but downright counterproductive. As your business grows, so does your need to automate repetitive tasks. After all, there’s only so much you and your teams can do in a limited amount of time. The solution is automation. In order to reach and exceed long-term goals, you need more than just a clear strategy; you need the right tools. You cannot simply send emails to hundreds and thousands leads without a prior knowledge about their needs and preferences. You cannot build an effective marketing campaign without the right tools, without a good knowledge of your target audience. It’s hard to convert leads into loyal customers without constant nurturing. Fortunately, Flexie CRM has all the right tools to help you automate as much as you can, nurture leads with personalized content, turn them into customers, and a lot more. In a world where customers are more and more demanding, you need the right tools to give them what they need, at the right time. Without the right tools, this would be a challenge. By automating manual and repetitive tasks, you free up time that can be used to actually boost sales, increase efficiency and deliver a great customer experience across all channels. 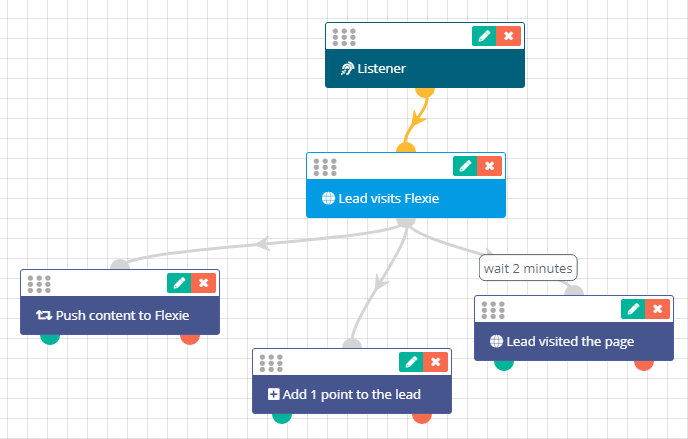 In Flexie CRM, you can build workflows that can handle every business scenario – no matter how complex. To understand how you can get started on workflow and automation, let’s consider a concrete example. Let’s suppose someone visits your website. You want to track him, nurture him and eventually turn him into a customer. 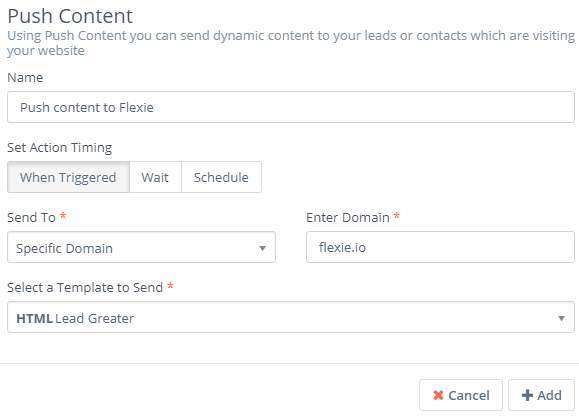 In Flexie CRM, you can easily track leads. To do that, first go to Settings -> Configuration – System Settings -> Tracking Settings. Once you copy and paste the entire snippet into your website, all leads will be automatically tracked as soon as they visit your page. Tracking leads is very important, but not enough; you need to nurture that lead all the way through. That’s where Flexie’s workflows come into play. To build the workflow, go to Workflows and on the drop-down menu click Manage Workflows. Next, go to the upper right corner of the panel and click New. Since we want to nurture the lead and take other actions, choose Lead as the workflow entity type. Give the workflow a name, write a short description (optional) and then click Launch Workflow Builder. Next, go to workflow sources and click Listener. The Listener does what is says: it “listens” for any event, be it a form submission, an email click, page visit and so on. In our case, it will ‘listen’ for visits on your website. In our case, we will use Flexie as an example. Next, go to Watch For events and click Page visit. After you give it a name, and after you insert the URL, click Add. Note that you also fill in the other fields if you need to. You can become more specific by determining when the lead comes back to the page, the time spent on it and so on. One of the best ways of converting a lead into a customer is by showing him targeted and personalized content when he visits your website. The idea is to do a step-by-step lead profiling, without being intrusive or annoying. By showing content through timely and non-intrusive pop-ups, you get to know the lead. Done the right way, push content can shorten the time it takes to convert a lead, while being efficient all the way through. 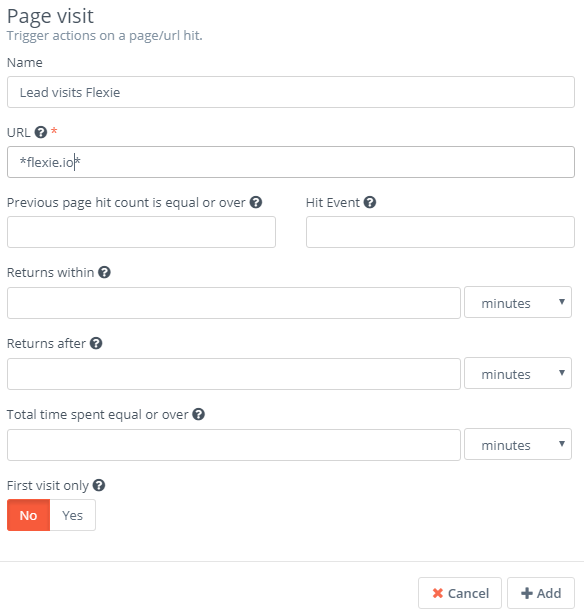 To show content to the lead when he visits the page, go to Actions and choose Push Content. 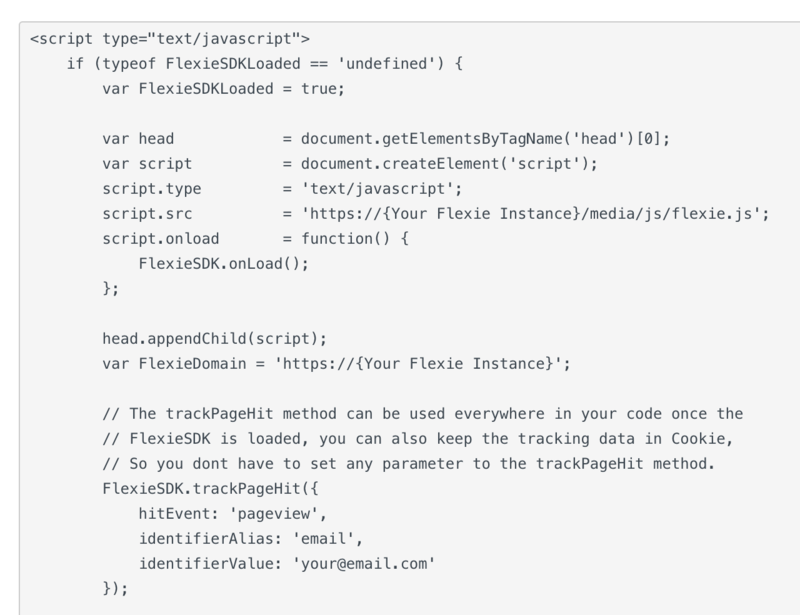 After naming it, choosing a specific domain (flexie.io) and selecting the template we want to show to the lead upon visiting Flexie, click Add. But what if you wanted to add points upon the lead visiting the page? Or what if you wanted to notify someone inside your company? In Flexie CRM, you can do these and much more. 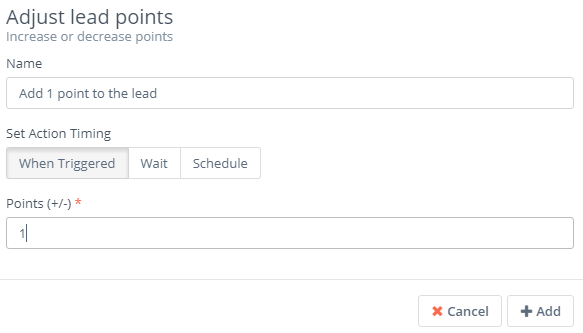 To add point, go to Actions and click Adjust lead points. Choose how many points you want to be added to the lead upon visiting the page, and then click Add. You might also want to notify someone inside your organization when the lead visits the page. To do that, go to Actions and click Send web notification. After choosing the user whom do you want to receive the web notification, click Add like we did with the other example, that of adding 1 point to the lead. The workflow we’ve just built would look like the image below. Next, click Close Builder and finally click Save & Close. Upon the lead visiting the website, he will be shown a pop-up window with some text and HTML content, the system will add 1 point, and a specific user will be notified 2 minutes after the lead visits the website. Note that this is just one of the many concrete scenarios of building a workflow. You can easily build your own workflows to match your business logic, no matter how complex it might be. Once you get started with automation, the only way is forward. After all, that’s where the future lies.